The biggest hurdle for junior scholars looking to embark on an academic career is to make the transition from PhD candidate to that first (ideally tenured) job. An imperative part of this process is getting published and yet - increasingly - this is becoming something harder to achieve. Why is a thesis not a book? But is this what you really want? What if a publisher contacts you? Set in stone or open to negotiation? 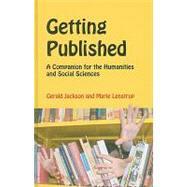 What is academic book marketing?